Following Wednesday’s news regarding the refurbishment of the Clubhouse Bar, we are now delighted to reveal plans to modernise the Club Shop at The Memorial Stadium. This summer work will be carried out to move the Club Shop to a new location under the East Stand – adjacent to the current site. Based on the Fan Survey sent out to supporters last season, the importance of improving on the current Club shop was highlighted. 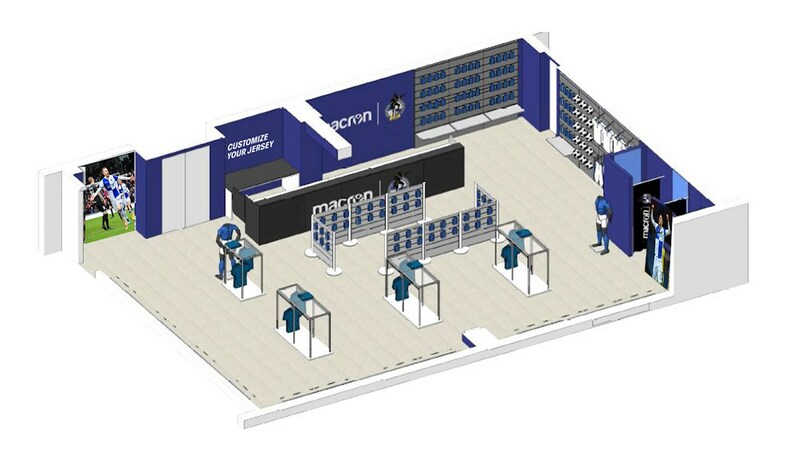 The planned changes to the Club shop will offer the opportunity to modernise the retail outlet of the Club and enhance the overall retail space with the aim of improving customer experience. In addition, the new location of the shop will enable access to all supporters right up until kick-off, making purchases on a matchday more accessible for all supporters. The Club Shop will continue to offer the same provisions for supporters as it currently does, with the Shop also acting as a non-matchday ticket office for fans purchasing tickets in person. 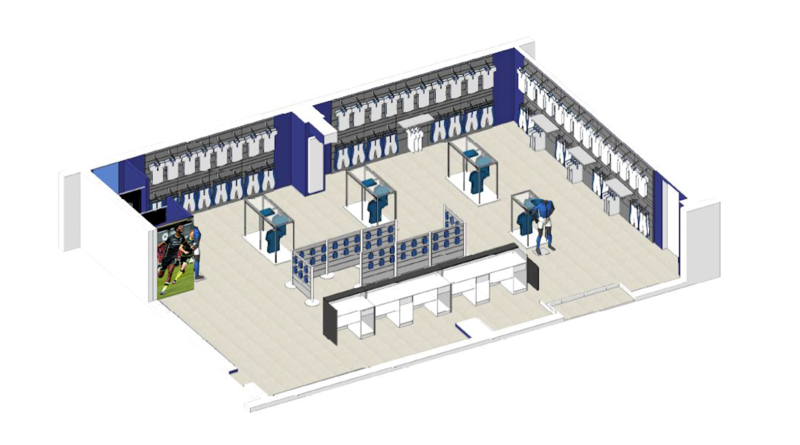 The proposed plans for the new Club Shop are detailed below and will incorporate changing rooms to allow supporters to try on merchandise before making their purchase and a new printing station for personalising your kit. The changes to the Club Shop are part of a series of redevelopments taking place across The Memorial Stadium this summer. As announced earlier this week, the Clubhouse bar is also undergoing extensive refurbishment ahead of the start of the 2018/19 campaign, which will increase both the capacity and improve the experience for supporters. Watch out for further updates through our official channels over the summer. The club is making every effort to improve the fans experience here at the Mem, so show your support for Darrell Clarke’s side in the coming season by purchasing a Season Ticket, with the less than two weeks till the deadline on June 20th. For more information on Season Tickets, please click HERE.